Tackles the practical problems which writers face when they attempt to transfer the data experience of their real world research into a textual product. 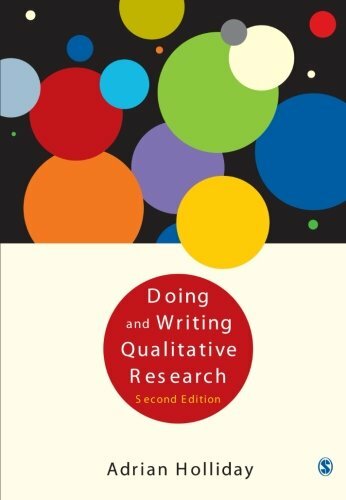 This book demonstrates how to manage subjectivity and achieve scientific rigour in the qualitative research process. It provides advice for novice researchers on where to begin and how to proceed. Accessible, practical and concise, this revised edition expertly tackles the practical problems which writers face when they attempt to transfer the rich data experience of their real world research into a textual product. New attention is paid to the crucial issues of the nature and use of visual data, personal narrative, core and periphery data, and data reconstruction and fictionalization. Sensitive issues dealing with the appropriate use of identity in research settings are clearly discussed, while techniques for avoiding reductive judgements are presented and critically discussed. By making the workings of written study transparent, the book demonstrates how to manage subjectivity and achieve scientific rigour in the qualitative research process. This book provides accessible advice for novice researchers on where to begin and how to proceed. But much more than a simple manual, it also guides the more experience researcher through the social, cultural and political complexities involved in every step of the way. It is an essential tool for students in all disciplines that engage in qualitative research, including sociology, applied linguistics, management, sport science, health studies and education.